Dirk With A Ring: Better Than The Ringless Wonders, Ewing, Malone, and Barkley? Does Dirk jump ahead of Patrick Ewing, Karl Malone, and Charles Barkley on the all-time greats list if he wins a ring this year? In other words, does winning a single championship necessarily make one superstar better than another superstar who hasn’t won? The Bulls, Lakers, and Spurs have dominated the last 20 years; as a result, some players have been denied rings that they may have won otherwise. The table below is an attempt to distinguish between the guys who should have won a championship and just had some bad luck and the guy who just didn’t get it done in the playoffs. I measure them using something called “Consolation Points”; the player who loses to the eventual champion in the first round gets 1 point, second round gets 2 points, conference finals gets 3 points, and NBA finals gets 4 points. I had to make the “superstar cutoff” somewhere, so I only included guys who had met one of the following criteria: 20,000 career points, 8,000 career assists, a career average of 20 points per game, or a career average of 8 assists per game. The cutoff could be made at many different milestones, but I don’t think they’re unreasonable. Defensive stats are conspicuously absent from the criteria; that is because in the context of talking about great players and winning championships, almost all the talk is about offensive players, Bill Russell notwithstanding. I don’t think Dirk moves ahead of Ewing and Malone if he wins a ring. I do think he is already of Barkley just by virtue of making this year’s finals; Barkley has lost to the eventual champ only once in the Conf. Finals or later. However; my eyes, heart, and those Right Guard commercials still say choose Barkley over Dirk. Jason Kidd is third on the list. I’m rooting the most for him to win this year; he is a winning player. Nobody was beating the Lakers and Spurs during early 2000s – except for the Lakers and Spurs. The top seven guys on this list kept running into dynasties; they all lost to the Lakers, Spurs, or Bulls at least once. Malone, Ewing, Kidd, and Stockton really got hit hard against those dynasties; each of these guys would have a ring if not for Jordan, Shaq/Kobe, or Duncan. Jordan’s Bulls almost single-handedly prevented 3 all-time greats from winning a ring, that’s greatness. 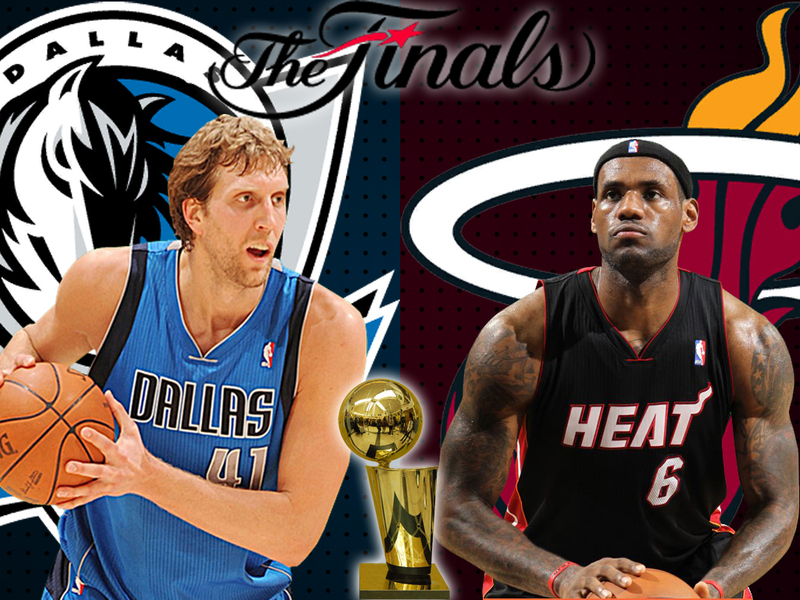 The guys in this year’s finals; Kidd, James, Nowitzki, and Bosh, each get 4 points for this year. Obviously 2 of these 4 guys won’t be on this list anymore. Of the top 10, three of the players really squandered golden opportunities: Malone, Ewing, Nowitzki lost to teams they probably should have beaten, the 2004 Pistons, the 1994 Rockets, and the 2006 Miami Heat, respectively. In this just-ended 20-year era of dynasties, a player has to take advantage of every opportunity. Only 38 players met the criteria to make this list; the table lists the top 20 players. Four of the remaining 18 players have no “consolation points”: Walt Bellamy, I don’t know enough about him to form a opinion; Gilbert Arenas, not a winner; Tracy McGrady, not a winner; and Chris Paul, it’s too early in his career. Dominique Wilkins, Vince Carter, and Tim Hardaway have less than 4 “consolation points”: I was surprised by Tim Hardaway; I saw him as a winning player, but his Miami days were only a small portion of his career. Vince Carter has never really been thought of as a winning player, no surprise there. Dominique was never seen as a winning player either and he had many chances to play to the NBA Champ; the Sixers, Pistons, and Celtics won 5 championships in seasons beginning in the 80s. I have to cut him some slack though; the East was tough in the 80s. In addition to those 5 championship teams, he had to deal with the early to mid 80s’ Bucks and the mid to late 80s’ Bulls.